It's been a longtime since we checked in on market strategist Don Coxe. He publishes the 'Basic Points' each month and his latest rendition is entitled "Slouching Towards Stagflation?" At the end of his commentary, Coxe lays out his latest investment recommendations, including a market weight position in Japan. Just this morning we touched on how investment manager Ruffer is seemingly overweight Japan. 1. 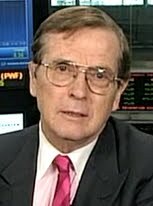 His main advice ties into the title of his commentary regarding stagflation. Coxe writes, "Just because Stagflation of Seventies proportions is only a remote possibility doesn't mean that meaningful stagflation-style damage won't be inflicted on bond portfolios - particularly those denominated in currencies of grossly overindebted countries. We think the risk of a real stagflationary bond bear has now arrived, and have therefore reduced recommended bond durations. Unless the stagflation risks recedes, we shall be reducing those durations further in coming months. So should you." This is a big talking point because Warren Buffett himself has reduced the duration of Berkshire Hathaway's bond portfolio as well. There is a slight difference in the reasoning, though, as Buffett was concerned about inflation whereas Coxe is concerned about stagflation. 2. Cease underweighting Japan and move to market weight (with special attention to buying global brands). 3. Underweight European financials and euro-denominated debt. Emphasize exposure to Swiss francs and Canadian dollars. 4. Overweight precious metals in commodity-focused portfolios and include exposure in balanced portfolios. 5. "Agricultural stocks remain the commodities group with the best balance of risk and reward among all the possible outcomes of the current crises in the Mediterranean region and the Arabian peninsula." 6. Overweight the oil sands companies and emphasize coal and oil names in North American energy portfolios. Fellow market strategist Jeff Saut of Raymond James was also out singing the praises of the oil sands this week. Industrial clients, Coxe says, should hedge against remote risk of catastrophe in the Middle East by purchasing far out of the money calls on crude oil. 7. Overweight offshore oil companies that "do not face continued litigation risk from Macondo." This means avoid the likes of BP (BP), Transocean (RIG), Anadarko Petroleum (APC), Halliburton (HAL), etc. 8. Continue to avoid uranium stocks (Cameco (CCJ) is a major player there). 9. Pay heed to food and fuel inflation, which are working together to dent consumers' discretionary incomes. 10. Underweight base metal stocks despite their near-term benefit of rebuilding in Japan. For more insight from strategists, check out their market commentary we've posted up recently.